“If there’s any female rapper that can do it better than me, I owe you 10 grand, yo!” said an animated Gigi Lamayne during a pre-performance interview at Johannesburg’s Maftown Heights in December. “Even male!” interjected Thabo, a member of Gigi’s dance crew, Supreme I.
Lamayne stared right into the camera: “If there’s any male rapper who thinks he’s better than me today, you need to bring it. Kaboom shots!” she said – twice – before adding: “Supreme!” with both hands cupped around her mouth, as if hollering at someone. 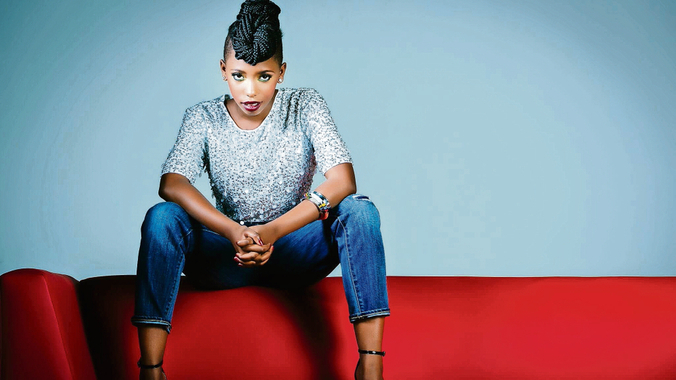 Lamayne is at the forefront of what appears to be a new wave of women dominating the South African hip-hop landscape. Her most recent single, Ice Cream, the remix version of which featured Khuli Chana, has done well on national radio since its release earlier in the year.